The Danish National Advanced Technology Foundation has announced that they invest USD 900.000 (DKK 5 Mill) in a project with GomSpace and RESEIWE to develop a highly flexible Software Defined Radio module for nano-satellite applications with extremely reliable and robust data links. 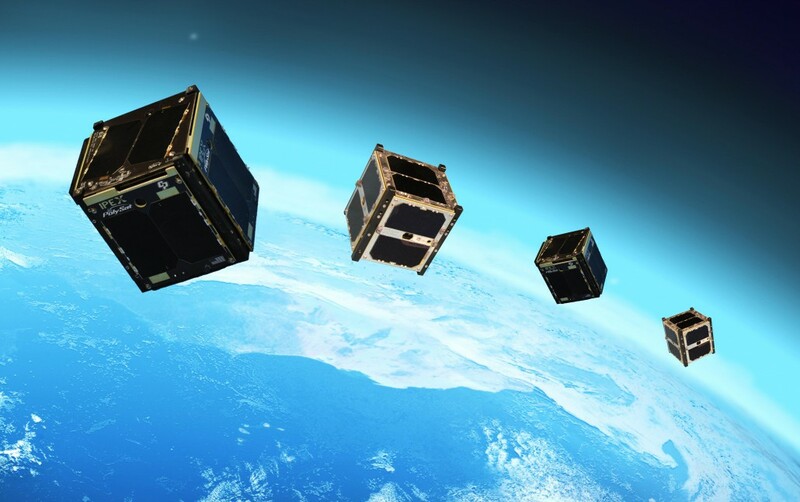 Nano-satellites (nanosats) have emerged within the last decade starting as a tool for education and capacity building, but are now rapidly becoming a technology considered for the implementation of operational surveillance and communication services operated by national authorities. Nanosats provide a cost-efficient and relative fast option for deploying new space borne assets to support data gathering to improve situational awareness leading to increased operational efficiency. GomSpace is a world-leading provider of nano-satellite components and platforms and a pioneer in demonstrating new applications of the technology; as is the case when GomSpace November 21st this year successfully launched a 2 kg air traffic surveillance satellite using SDR techniques to receive ADS-B signals from aircraft. GomSpace CEO Lars K. Alminde states: “To offer truly operational service we need to meet our customer’s mission critical requirements for secure and robust communication channels. RESEIWE has impressive communication protocol optimization know-how and exclusive IPR rights to key protocol coding methods that ensure data-delivery in harsh environments and offers beyond-line-of-sight connectivity. CEO of RESEIWE Niels-Christian Gjerrild states: “We see that our technology can add a lot of value to the field of nano-satellites and with GomSpace we can take nano-satellites data links to an unseen level of reliability. In addition to the industrial partners Aalborg University participate in the project as a research partner. The project will kick-off in April 2014 and will conclude with in-orbit tests in late 2015. In addition to the financial support from the Danish Advanced Technology Foundation the partners will invest in the project. About GomSpace: GomSpace is a leading provider of cost-effective reliable subsystems and platform solutions to the emerging nano-satellite and Cubesat markets with a strong focus on future operational applications of the technology. In 2013 GomSpace products has been featured on more than 15 missions reaching orbit. For further information contact Managing Director Lars K. Alminde. Phone: +45 96356111 E-Mail: alminde@gomspace.com. Homepage: www.gomspace.com. About RESEIWE: RESEIWE is creating Reliable Ultra Robust Channels in existing Wireless Systems and Networks. The channels are created by protocol coding, a patented method of utilizing inherent but unused capabilities in the wireless systems. The implementing of the technology is software-only, without changing the hardware thereby protecting and reusing the investment in equipment. For further information contact CEO Niels-Christian Gjerrild. Phone: +45 40349879 E-Mail:ncg@reseiwe.com. Homepage: www.reseiwe.com.